OEM gravel sand pumps,OEM high chrome sand pumps,OEM high chrome horizontal pumps,Naipu not only produce standarded AH,AHR,SP,SPR, Series slurry pumps, we also produce OEM high chrome Horizontal Slurry Pumps. OEM Slurry Pumps and parts, OEM high chrome whole set up pumps, OEM high chrome impellers,etc. 1. 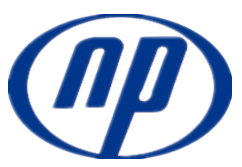 Shijiazhuang Naipu Pump Co.,ltd is not only a trading company, but also a experienced factory, we produce Slurry Pump for more than 20 years. With so many years' experience, so we also design pumps for our customers' special demand. 1)We have own casting workshop and can build casting pattern and design pump for you. 2) We have advanced testing equipment and can guarantee pump performance for you. 3) We have CE/UL certification and stable customers in your market/Europe market. 4) First sample pump we only charge in 0 profit. Whatever you need, just send your requirments to our technical team, we will design the special pumps for you. From now on, we already design more than 5 types of whole slurry pump for our customers. OEM High Chrome Whole Pump,OEM Gravel and Sand Pump , OEM Goulds Series Pumps and Parts,etc. OEM High Chrome Whole Pump,OEM Gravel and Sand Pump, OEM Goulds Series Pumps and Parts,OEM Mission Pump parts,OEM high chrome Pump Parts,etc. Looking for ideal OEM Gravel Sand Pumps Manufacturer & supplier ? We have a wide selection at great prices to help you get creative. All the OEM High Chrome Sand Pumps are quality guaranteed. We are China Origin Factory of OEM High Chrome Horizontal Pumps. If you have any question, please feel free to contact us.